Situated right in the centre of Morzine ski resort yet hidden from view in the old quarter of town. The Grange is just a 3 minute walk from both Le Pleney and the Super Morzine cable cars. The catered ski chalet’s central location means that all the activities that Morzine has to offer are within touching distance. The Grange is a stunning chalet in an unbeatable location. 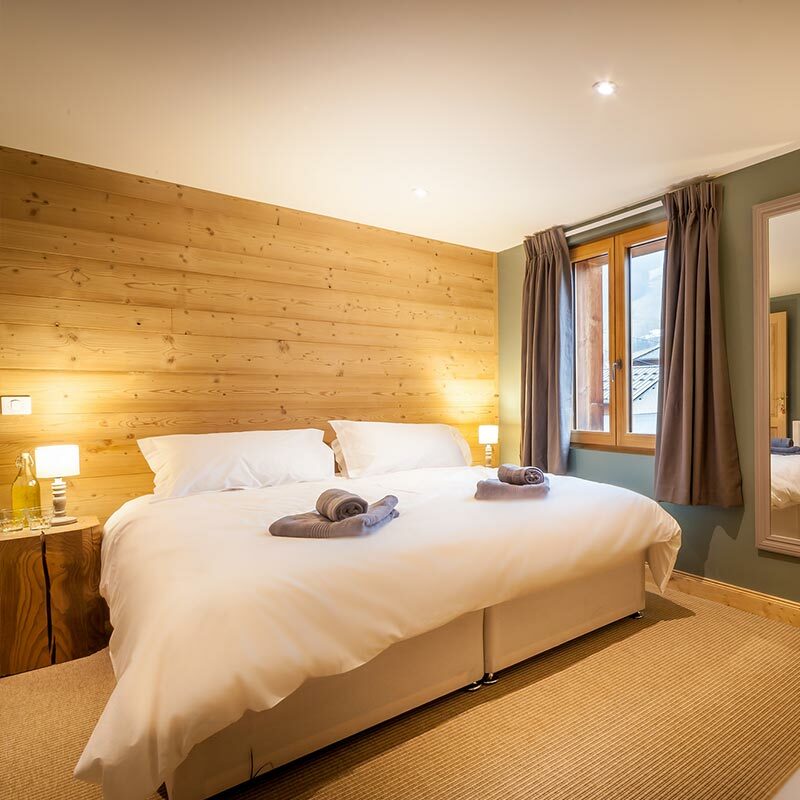 The chalet has 5 ensuite bedrooms. 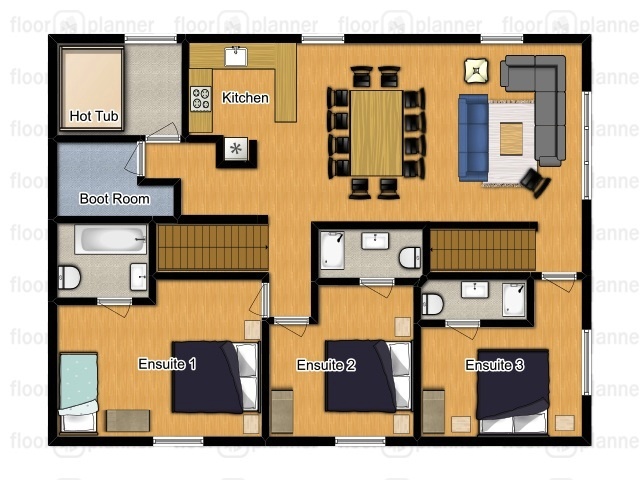 3 of the bedrooms can sleep 3 people meaning the chalet can sleep a total of 13. All rooms have a lovely range of Cole and Lewis bathroom products. 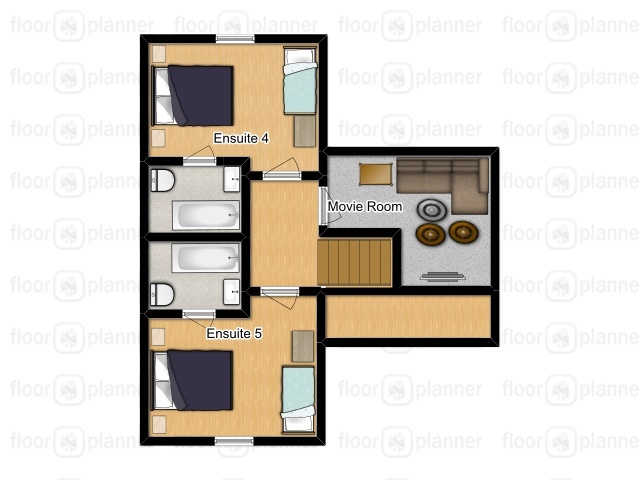 All rooms can be configured as either Twins or Super King Size Doubles. All beds have super-comfy mattress toppers for that added bit of luxury. The Grange has an elegant modern living area with all the touches of a luxury property. Solid oak floors run throughout the chalet and the open plan living area is your own little slice of alpine heaven to kick back and relax after a day in the mountains. There is a Bose music player that can be connected to by bluetooth so that you can play your own music. The movie room has an enormous HD TV and is connected to English Sky TV. There are also a number of boardgames for your enjoyment. The standout feature of The Grange could well be the indoor hot tub. It offers the perfect setting to chill out with a glass of wine before canapes are served each evening. Our boot room has a heated boot rack to ensure that your feet are nice and toasty in the morning. The chalet has a large outdoor balcony off the living area which catches both the sunrise and sunset. Prices are per person per week based on 2 people sharing an ensuite room fully catered (breakfast, afternoon tea and dinner). The prices also include our house wines, beer and soft drinks. This is an unlimited service not just confined to meal times. All drinks are included for the duration of the stay - we do not have honesty bars where guests are required to pay a supplementary cost. Everyone who shares a room between 3 people receive an additional 10% discount. Private driver service between 8am -10am and 3pm – 7pm (Chalet Mautalent, Ferme St Christophe and No.8). No driver service available on Sunday changeover. Help organising ski hire, ski passes, childcare, ski school, and anything else you can think of! Please note that we can organise all of the above for our guests with the exception of flights. The Grange is 1 of our 3 Morzine ski chalets and is located in the centre of town on the Chemin de la Coutettaz. It is walking distance from both Le Pleney cable car and Super Morzine cable car. The Grange is extremely close to all the local ammenities in the centre of Morzine ski resort.